Claire Hancock is a licensed clinical social worker at Copley Hospital. Through 31 years of service, Claire has been a literal and tireless lifeline to people and families in a very challenged system, according to those who know her work. 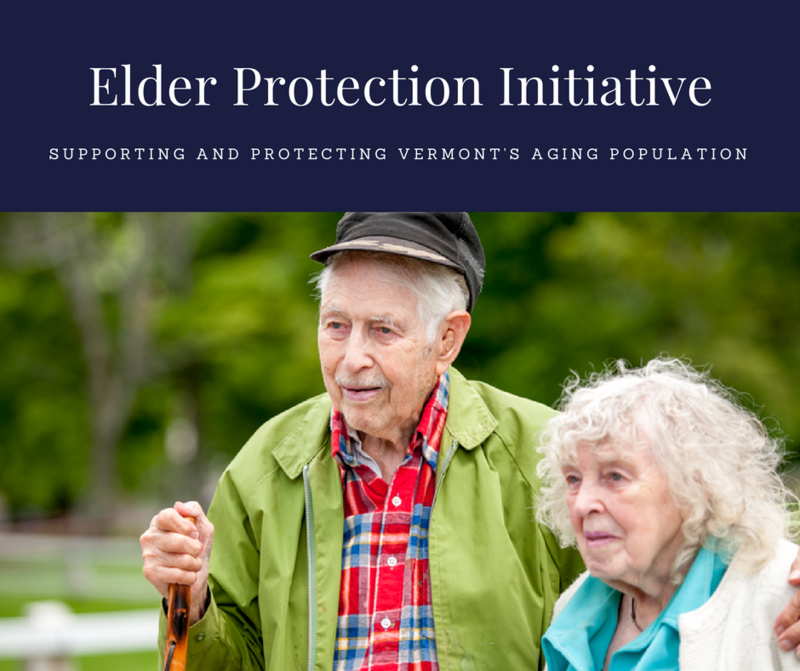 We first met Claire during the Elder Protection Initiative listening tour—through which we sought to learn about the challenges facing older Vermonters. What we learned, in addition to these challenges, was the profound significance of Claire’s role as an advocate for the most vulnerable Vermonters. Claire, who has been quietly hailed in her local and professional community for decades of service helping patients and their families arrange for the care and services they need upon discharge from the hospital, prevents people from falling through the cracks. 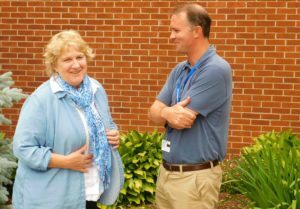 Claire recently retired from full time-work at Copley Hospital, but continues to work a few hours each week as a clinical supervisor. 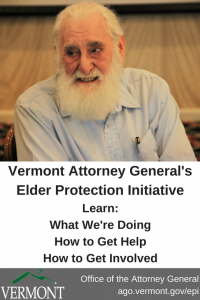 She also recently began working part-time for Lamoille County Mental Health as the Elder Services Clinician, providing counseling and case management to older adults. What is the greatest challenge you’ve experienced in working with vulnerable patients? The greatest challenges of working with vulnerable adults are the inadequate resources available to them. While there are many agencies and programs that provide some assistance, it is a fragmented confusing system with complex eligibility criteria, so it is overwhelming and confusing to any person, not just vulnerable adults. Services are improving and expanding slowly but there are still big gaps, like inadequate transportation in the rural areas, lack of affordable housing, inadequate financing for hearing aids and dental issues, and not enough affordable quality care for those with dementia. On a personal level, I have been visually impaired since age 18 and do not drive so I experience the lack of transportation first hand. What inspires your work, or is rewarding about this work? What is rewarding for me in this work, is having the privilege of getting to know the unique, interesting lives and personalities of elders; hearing their stories of life as they share their most personal, heartbreaking, and sometimes wonderful experiences. Their wisdom and sweet spirit are so moving and inspiring. I have learned that this work requires a great deal of empathy and patience as well as being a “detective” to get down to the facts as well as the emotions of a situation. Whatever difficulties, conflicts and negative situations people are in, there is always fear and grief underneath. Our job is to access this fear and grief and help to relieve at least some of it. I believe that most people are well intentioned and want to do their best, but bad things do happen to good people. I have learned that as a “helper,” I only know a small slice of a person’s life experience. We must not judge. We must not make assumptions. Nothing is black and white; it is all gray, and the work is never done. I believe that each town needs to develop (if they haven’t already) an organized, reliable volunteer program to help fill some of gaps in services, like transportation, food shopping, laundry and other household tasks and companionship. I know that there are many community members who would love to volunteer to help others with various tasks and care of elderly who are sick or have dementia, as this enriches the life of both the volunteer and the elder person.